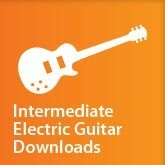 Intermediate Electric Guitar Downloads - Part 20. Bringing the learning together. Surrender. Double stop licks. A year’s worth of lessons for today’s electric worship guitarist contained in 10 hours of instruction in 20 downloads. A comprehensive course that will teach you the techniques, licks and styles the pro’s use to create electric guitar parts in worship. Perfect for players with gaps in their knowledge and acoustic guitarists transferring to electric. - How to find every the note on the neck, quickly! Songs used for this course include Holy Is The Lord, Everlasting God (Strength Will Rise), Hosanna, In Christ Alone, Mighty To Save, Blessed Be Your Name, Happy Day, Surrender and Extravagant Worship. 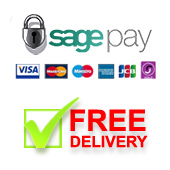 Includes backing tracks for daily practice. Buy all 20 Intermediate Electric Guitar lessons at the same time and a 25% discount will be applied at the checkout. You're reviewing: Intermediate Electric Guitar Downloads - Part 20. Bringing the learning together. Surrender. Double stop licks.